Beets are a rich source of antioxidants and nutrients, including magnesium, potassium, vitamin C, and betaine. Beetroot juice has been shown to lower blood pressure and improves cardiovascular health. 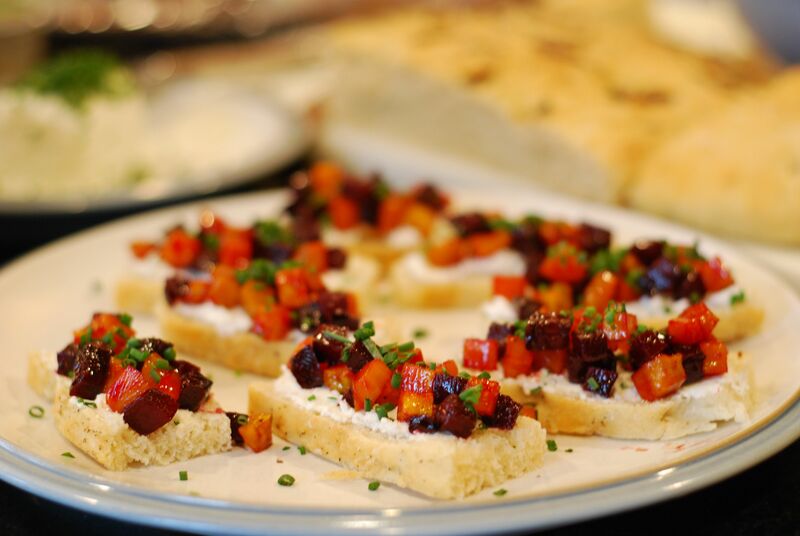 This recipe is a versatile dish that can be used as a vegetable side, sprinkled on a salad, or topped on pieces of Crostini with goat cheese spread. 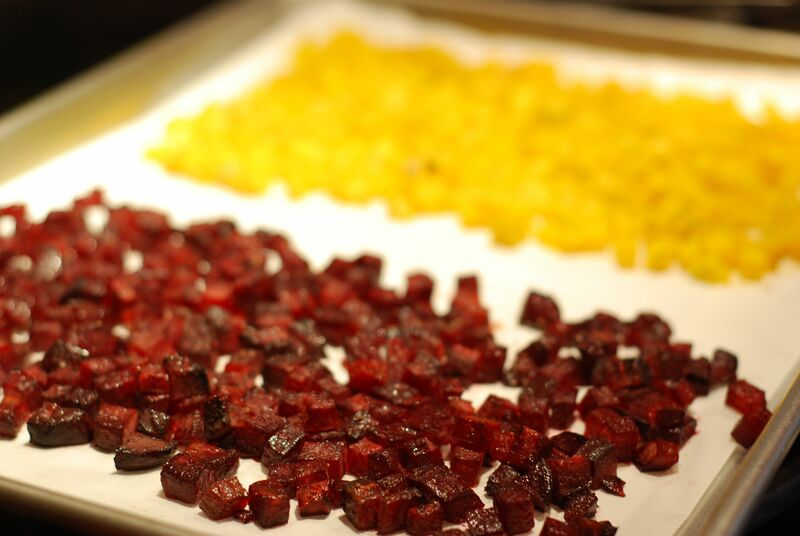 NOTE: You can use all one color beets or as I note in this recipe, half red and golden. If you choose to use two colors be sure to mix them at the last minute because the color of the red beets will bleed into the lighter colored beets. Preheat oven to 375°. Line a large baking sheet with parchment paper (alternately, use two smaller baking sheets). Set aside. Place red beets in a bowl, add 1 Tbls rosemary garlic oil or olive oil and stir until oil evenly coats beets. 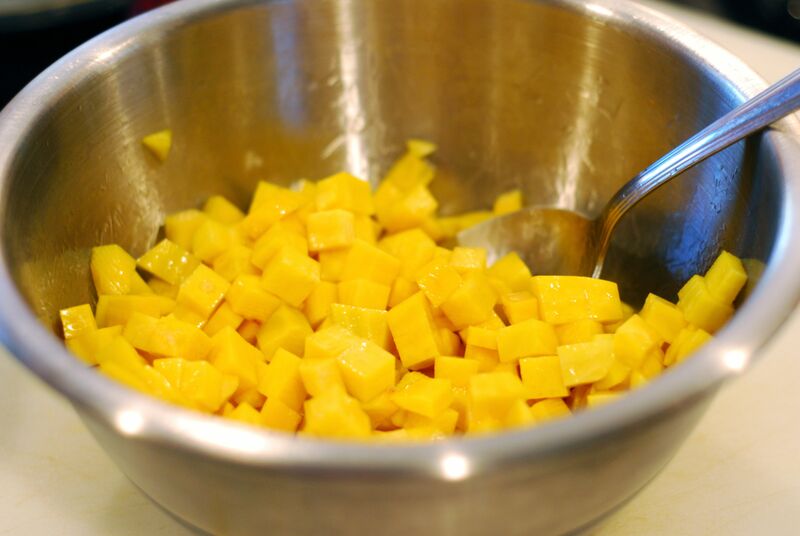 In a separate bowl, do the same with the golden beets. Pour the red beets on one side of the baking sheet and the golden beets on the other, leaving about a 1-inch space between beets. Spread the beets so the cubes are one layer thick. Sprinkle with salt and pepper. Bake until you can pierce a piece of beet with a fork easily but still be slightly firm, about 20-25 minutes. If you plan to serve immediately, pour the beets into a large bowl. If you plan to serve later, pour each type of beet into separate bowls and combine shortly before serving. When ready to serve, stir in 2 Tbls of the Balsamic Glaze into beets. Beets can be served warm, room temperature, or cold. In a saucepan, combine balsamic vinegar and brown sugar. At medium-high heat, bring the mixture to a boil stirring occasionally. Lower the heat to medium-low and simmer for 10 minutes. Remove from heat and let cool. Store in an airtight container for up to one week at room temperature. 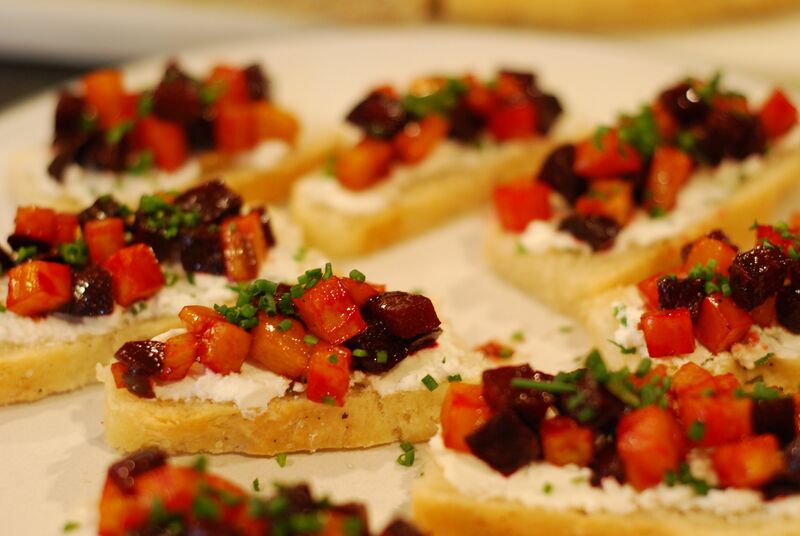 SERVING SUGGESTION: Spread soft goat cheese onto Crostini, top with roasted beets and minced chives. 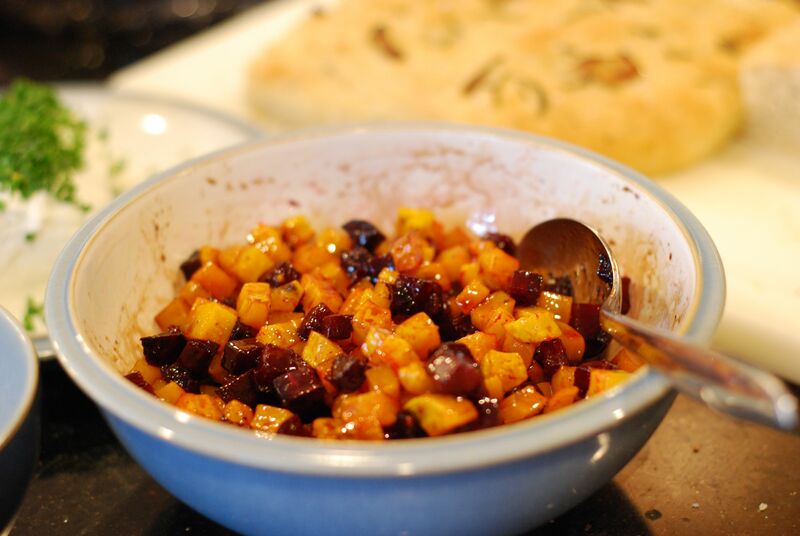 Try this recipe with Rosemary and Garlic Focaccia. You are currently browsing entries tagged with Balsamic Glaze at Hestina's Kardia.